Dairy producer Yakult Honsha Co. is finding that the power of product placement is so potent it works even when it’s mistaken. Viewers of Netflix’s new romantic comedy, “To All the Boys I’ve Loved Before,” have noticed the main character’s sister drinking a yogurt out of a distinctive little bottle, and are talking about it on Twitter, according to Mark Bachman, head of M Science’s TickerTags, a research firm that analyzes the relationship between social media and a company’s performance. In the movie, the drink is called a “Korean yogurt smoothie,” but audiences have clearly spotted Yakult’s “distinct red foil top,” Bachman said in a note to clients Friday. 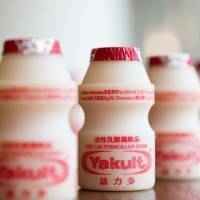 “While the brand is of Japanese origin and was never mentioned by name in the movie, it is clearly a Yakult bottle, which Twitter users quickly noticed,” he said. Yakult’s “mention frequency” spiked after the release of the Netflix movie and a majority of the conversations were directly related to interest in the product, according to the note. Shares of the stock, which have dropped about 6 percent this year amid slower sales growth, climbed more than 2.6 percent since the movie was released on Aug. 17. About half of that rally came Monday with a 1.7 percent gain. 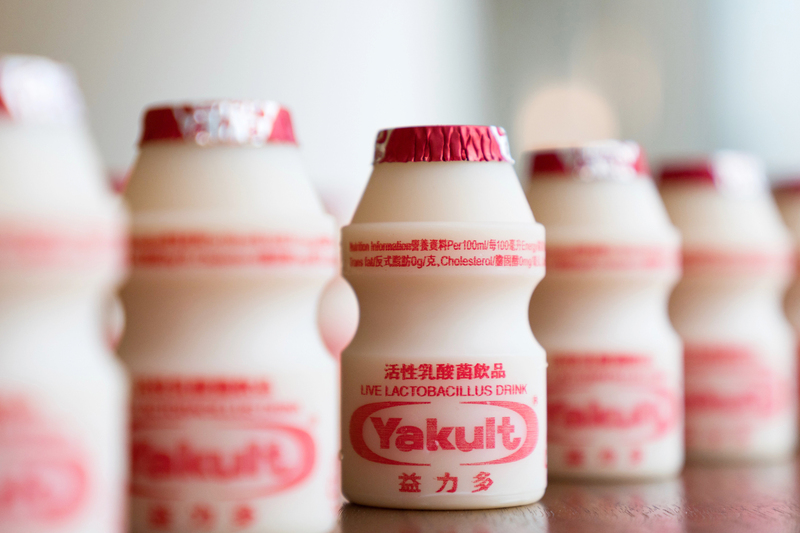 “Given the increasing conversation levels we believe Yakult is achieving greater brand awareness, which should likely result in higher sales volume,” Bachman said.